This elegant graphite coloured and waterproof dog jacket has your dog covered in cold and rainy weather. 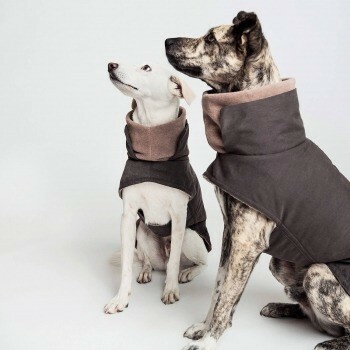 With a contrasting, warm wool lining and a waterproof outer, the jacket will retain your dog’s body heat and keep out the rain. The simple velcro fastener allows you to put the jacket on quickly. The Brooklyn is available in 11 sizes and the practical zip opening allows to fit a harness underneath. An additional elastic band can be used to adjust the coat. It can be washed in the machine to keen it nice and clean. 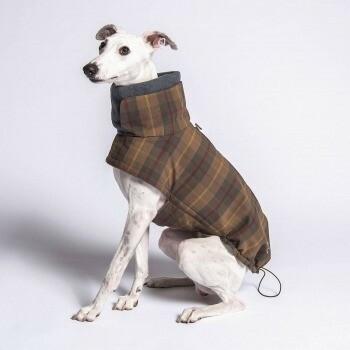 This elegant tartan coloured and waterproof dog jacket has your dog covered in cold and rainy weather. This ultralight and waterproof dog raincoat from the aptly called London range is a must-have item for the dog owner on the move. Not only does it add a beautiful splash of light colour to your (rain-soaked) walks. It can be put on swiftly whenever those small showers surprise you. It can be washed in the machine to keen it bright and clean. 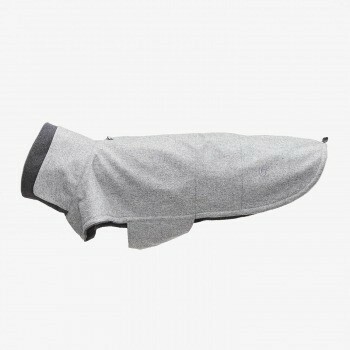 This elegant light grey coloured and waterproof dog jacket has your dog covered in cold and rainy weather. We love this black cotton dog collar for its stylish and summery beach look. A gorgeous black-coloured webbing enhances the crème cotton base to give it contrast for its relaxed and casual look. The silver coloured hardware blends then materials nicely. It’ll stand out especially well on darker coloured dogs. The strong cotton and webbing make the collar durable and keep it lightweight at the same time. 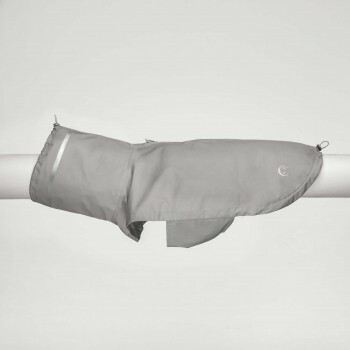 The collar can be machine washed on a gentle and cold cycle. The base material is 100% cotton while the webbing is made from a mix of 70% linen and 30% polyester. The black cotton dog collar Hugo is available in a large variety of sizes. There are three sizes to determine the best width for your dog. And collar can also be manually adjusted for a perfect fit. The collars also come in three widths, which are depending on the look you prefer. We love this taupe cotton dog lead for its stylish and summery beach look. A gorgeous taupe-coloured webbing enhances the crème cotton base to give it contrast for its relaxed and casual look. The silver coloured hardware blends then materials nicely. The strong cotton and webbing make the lead highly durable and keep it lightweight at the same time. The lead can be machine washed on a gentle and cold cycle. 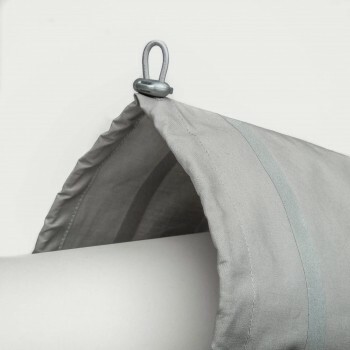 The base material is 100% cotton while the webbing is made from a mix of 70% linen and 30% polyester. 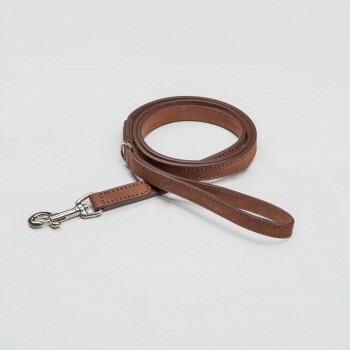 The cotton dog lead Coco is currently available in one size and two width: 1.5cm and 2.0cm. 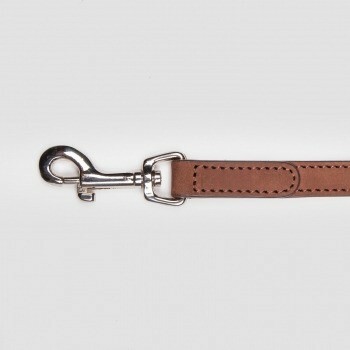 We love this taupe cotton dog collar for its stylish and summery beach look. A gorgeous taupe-coloured webbing enhances the crème cotton base to give it contrast for its relaxed and casual look. The silver coloured hardware blends then materials nicely. It’ll stand out especially well on darker coloured dogs. 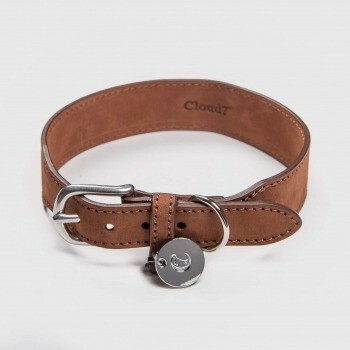 The cotton dog collar Taupe is available in a large variety of sizes. 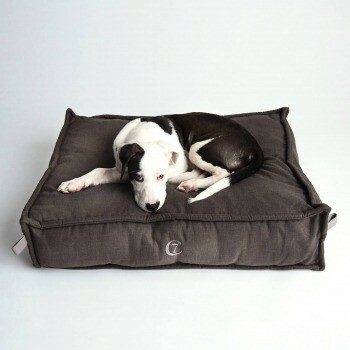 There are three sizes to determine the best width for your dog. And collar can also be manually adjusted for a perfect fit. The collars also come in three widths, which are depending on the look you prefer. 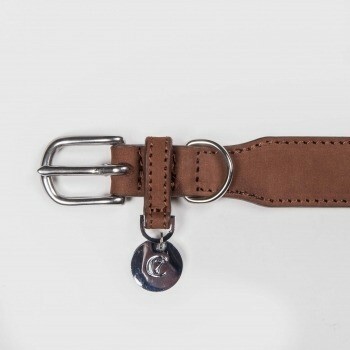 This waxed brown leather dog collar will develop a natural and interesting patina with age. It is hand crafted from soft leather that comes with an intensive brown hue. 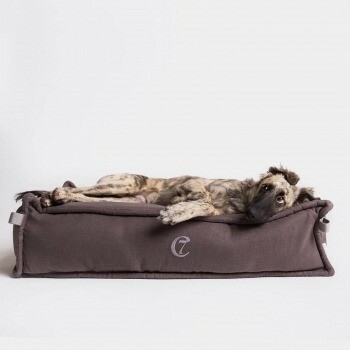 The wider back of the collar makes it especially suitable for dogs with longer necks like sighthounds. It is also a more comfortable alternative if your dog tends to pull on the lead. The hardware is made from silver metal which stands off nicely from the collar and gives it a elegant, classic look. The Stanley Lead is a perfect match for the Stanley collar. Both are made from fine leather which will develop a beautiful patina over time – telling many stories about your dog’s adventures. The lead comes in one length and two width, with 1.5cm and 2.0cm to chose from.